Strawberries aren't berries, but avocados are. 1. Figs have wasps in them. Figs are technically not a fruit – they're inverted flowers which are pollinated by female wasps that burrow inside. But don't worry, the wasp's body is broken down into proteins by an enzyme called ficin. 2. Humans are born craving sugar. To put it simply, we're all born with a sweet tooth. Studies have shown that newborns have a distinct preference for intense, sweet flavours in comparison to salty or bitter flavours. 3. Peanuts aren't nuts, they're legumes. Along with beans and peas, peanuts belong to the legume family because they are edible seeds enclosed in pods. 4. Chocolate was once used as currency. 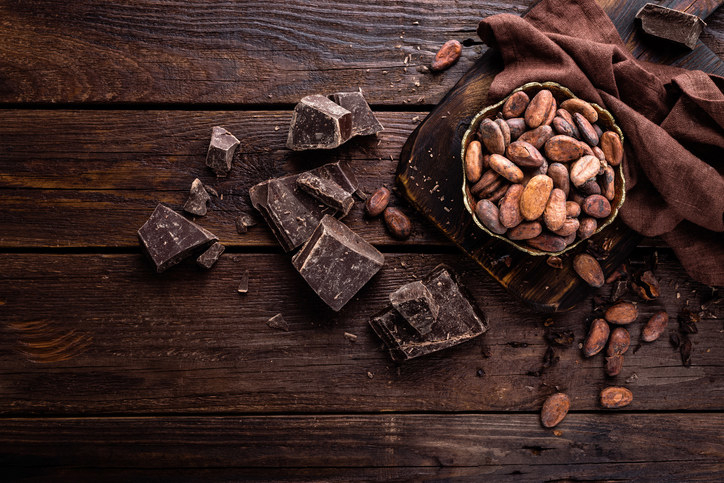 During the time of the Aztecs, cacao beans became so coveted that they were used as a means of trading goods. 5. Spam is short for "Spiced Ham". But if that doesn't convince you, Jay Hormel, the creator of Spam, did claim that the product was a combination of the words "spice" and "ham". 6. Most wasabi is just dyed horseradish. The vast majority of wasabi consumed is a mixture of horseradish, hot mustard, and green dye. That's because real wasabi is difficult to grow, very expensive, and should be consumed within 15 minutes. 7. Every banana you eat is a clone. That's because nearly all the world's banana exports come from a single, cultivated variety called the Cavendish. Cavendish bananas are seedless and therefore sterile meaning that farmers must clone the plant. 8. Baby carrots don't exist. Despite their adorable name, baby carrots are made from imperfect carrots that have been sliced, peeled, and rounded into smaller pieces. 9. Pineapples grow on bushes. Looks weird, but pineapples grow out of the ground from a leafy plant that can grow up to 1.5 metres long. 10. Cashew shells are poisonous. 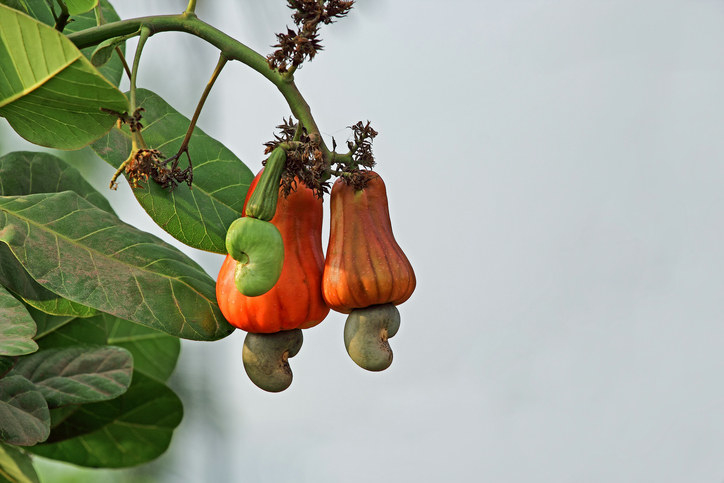 Cashews belong to the same family as poison ivy and poison sumac, meaning that its plant contains chemical irritants known as anacardic acids. 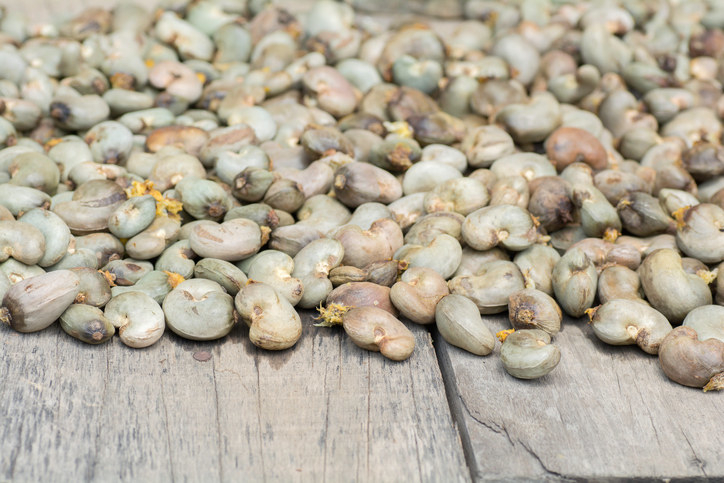 The irritants are only found in the shells though, which is why cashews are almost always sold shelled and roasted. 11. Strawberries aren't berries, but avocados are. Botanically speaking, a true berry is a fleshy fruit produced from the ovary of a single flower containing one or more seeds on the inside of the flesh. Avocados fit this definition, but strawberries, which develop from multiple ovaries and have seeds on the outside, don't. 12. Oysters are alive when you eat them. Dead oysters can contain high numbers of bacteria which can make you very, very ill.
13. Honey will never go off. The acidity, lack of water, and the presence of hydrogen peroxide in a sealed jar or bottle of honey is the secret to its eternal shelf life. 14. Carrots were originally purple. The modern day orange carrot only exists because Dutch growers in the late 17th century cultivated mutated strains of the purple variety. 15. Chocolate can kill dogs. 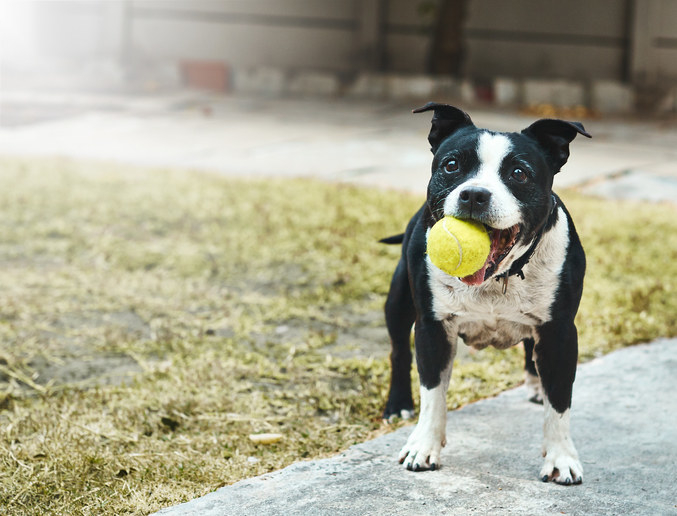 Chocolate contains theobromine, a bitter chemical found in cocoa beans, which has been tied to illnesses in dogs. 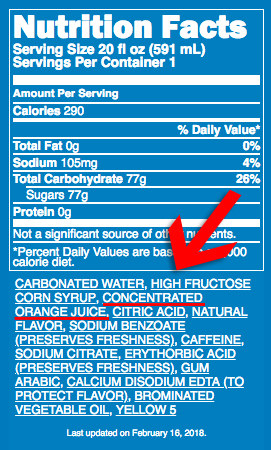 In large enough amounts, the toxic reaction to the chemical could cause severe harm. 16. Ketchup was once sold as medicine. Concentrated into pill form, It was believed that ketchup could treat diarrhea, violent bilious attacks, and indigestion. 17. 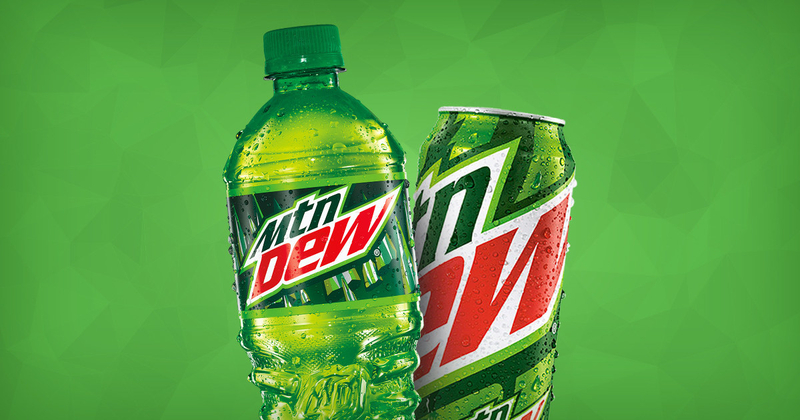 Mountain Dew is mainly just orange juice. 18. All Froot Loops taste the same. Turns out that those delicious, multicoloured loops you ate all throughout your childhood don't actually represent different fruit flavours. Parmesan, like many other high-end cheeses, is made using rennet which is traditionally sourced from the lining of a calf's stomach. 20. The M's in M&M's stand for "Mars & Murrie". Forrest E. Mars Senior and Bruce Murrie were the co-creators of M&Ms. 21. Eating pineapples breaks down your flesh. Fresh pineapples contain bromelain, an enzyme which breaks down proteins and essentially attacks your tongue, cheeks, and lips on contact. It's basically "tenderising" the inside of your mouth. But don't worry, your cells regenerate quickly. 22. Insect secretions are used to make jelly beans shiny. The shine comes from using shellac, which is a resin that's secreted by the female lac bug. 23. Red food colouring is made from ground up insects. One of the most common red colour additives known as cochineal (it can also appear as carmine, carminic acid, Natural Red 4, or E120 on food and cosmetic labels) is derived from a type of scale insect. 24. The same wax used for cars is found in fruit flavoured snacks. Carnauba wax is both used as a shiny glaze to finish off gummy snacks and as an ingredient in car polish. The only difference is that in the gummies the overall percentage of wax used amounts to 2%, whereas in car polishes it sits around 30%. 25. Chili peppers trick your mouth into "thinking" it's being burned. The burning sensation you experience all comes down to a chemical compound found in peppers called capsaicin. Capsaicin binds to pain receptors on your nerves, causing your brain and body to react in a similar way as if there was something hot in your mouth.